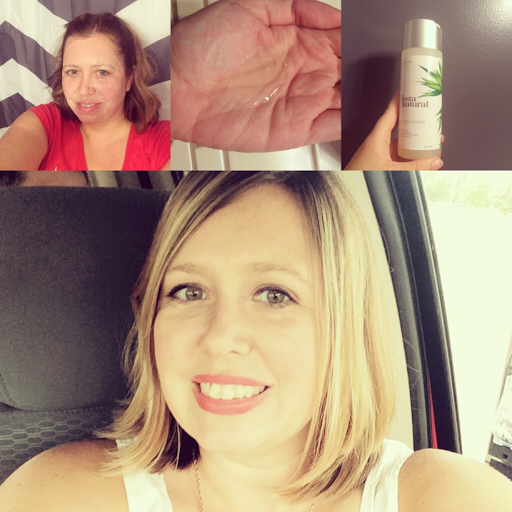 I was extremely excited when I had the opportunity to test out InstaNaturals Glycolic Facial Cleanser. I am trying to make the switch to a cleaner lifestyle and this cleanser features pure ingredients and natural extracts with no artificial fragrances. The Glycolic acid in this cleanser is a gentle exfoliator. So while my skin did tingle a little when using the cleanser it did not feel as if I was using a typical exfoliator. I noticed when using this cleanser it takes very little cleanser to do the job, so the container will last quite a while. Making it a decent price at $20 per bottle. InstaNaturals promises the cleanser will give you younger looking skin and I believe it delivers. My skin looks and feels amazing. I will say that the fine print states that you need to use sunscreen when using this cleanser because it makes your skin more sensitive to the sun. Please pay attention to this because on the day that I used it for the first time I sunburned my face and that is quite unusual for me. I did receive this product for free so that I could give my unbiased review of it. The opinions in this post are my own and are not affected by this.